Time again for the Super Festival show in Japan. As usual, X-Plus was present showing off a variety of upcoming vinyl figures and new reveals. 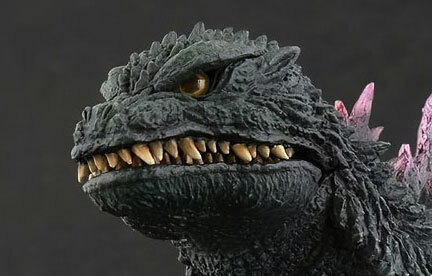 First on our list is a new Toho 30cm Series Favorite Sculptors Line Godzilla 1964. 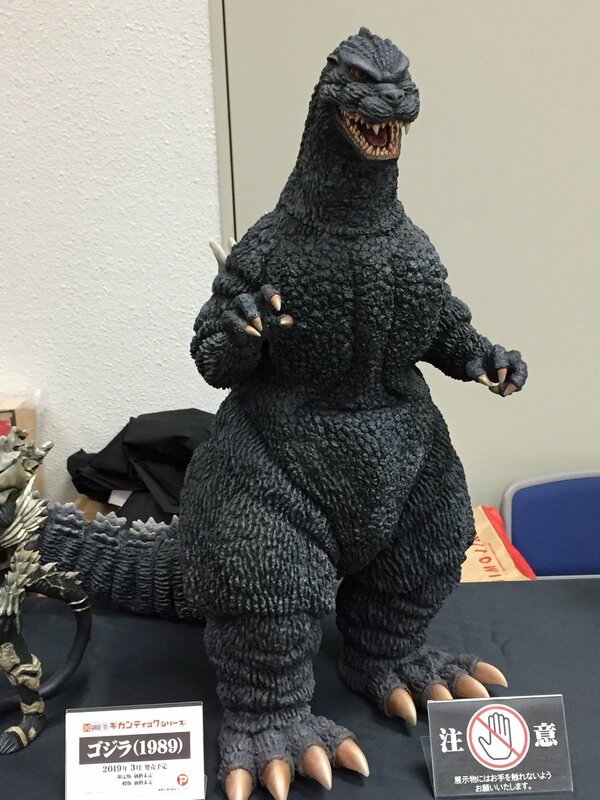 If you never managed to snag an original X-Plus Godzilla 1964, here’s your chance to add this suit to your shelves. This vinyl has a pose mostly in line with the original release including the 64’s signature downward curve at the end of the tail. Unlike the original, though, this one will need a tail base to stand. (What is up with all of these up-in-the-air tail sculpts lately??) The placard says this guy is due out in January of 2019. Keep watching the X-Plus site. It will probably come up for preorder any time now! WOW! No one saw this one coming! 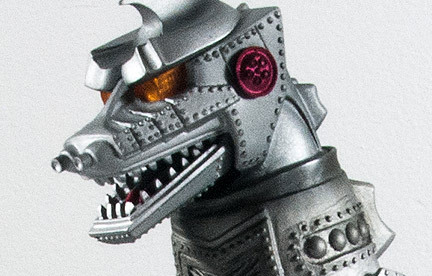 Take a look at the Toho 30cm Series Ebirah from Godzilla vs. The Sea Monster, aka Ebirah, Horror of the Deep (1966). 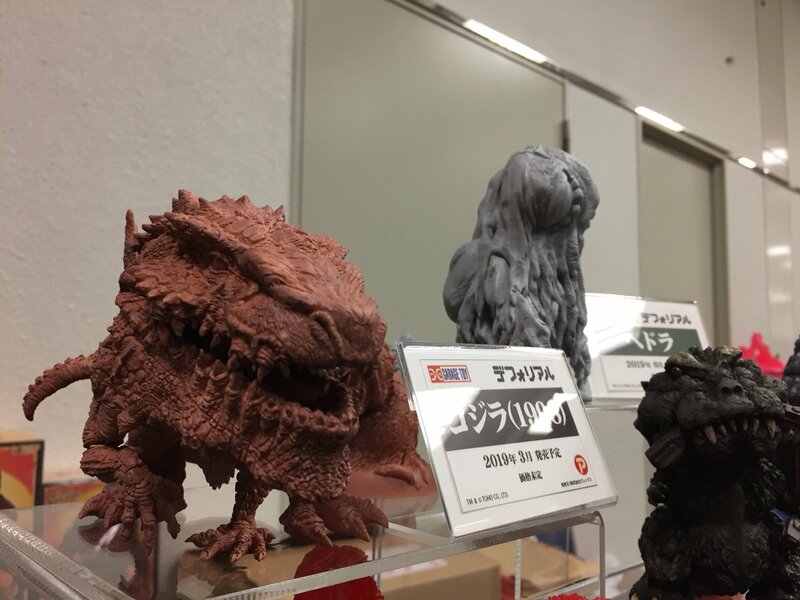 What’s particularly interesting is that unlike the previously released Large Monster Series version of this monster, this one comes supported on a spashy, water base. This base looks as if it may be made with translucent vinyl. Don’t quote me on that though. The tail is absent and implied to be under water. This allows for a very exciting and dynamic pose. The 30cm Series Ebirah is set to be released in January, 2019. 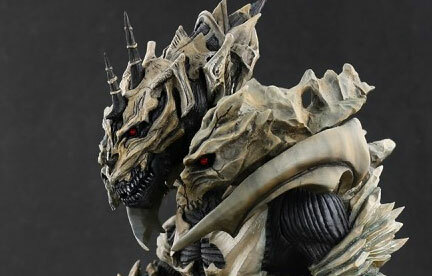 Also due out in January 2019 is the Toho Large Monster Series Monster X based on Godzilla: Final Wars (2004). This vinyl joins the already released Large Monster Series Godzilla 2004 and the Large Monster Series Kaiser Ghidorah. 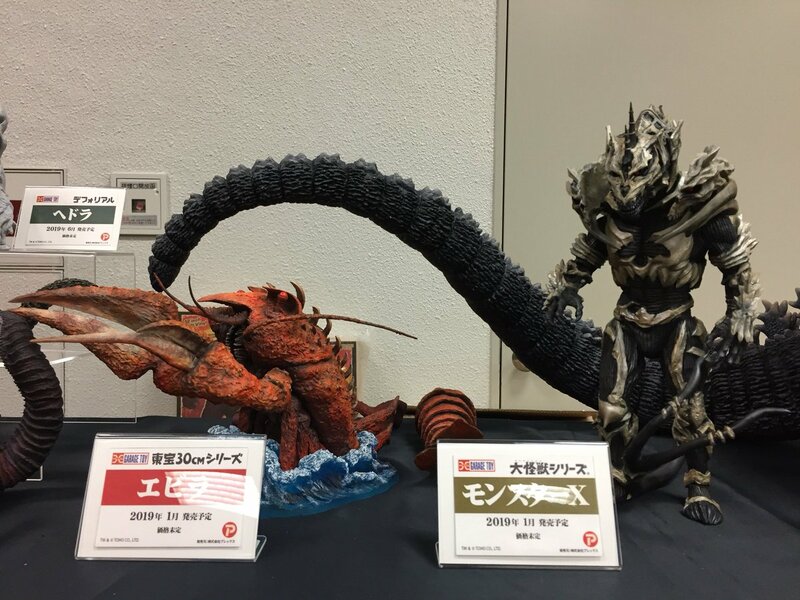 Another amazing reveal is that of the Large Monster Series Eleking from Ultraseven (1967-1968). The detail and paint apps on this thing look amazing. This ultra kaiju has a very long, winding tail in the television series and unfortunately it can’t be seen from the angle in the photo above. But rest assured it will add a lot to the overall presence of this vinyl on your shelf. The date for release didn’t make it in the photo, but I would assume it will be soon since the prototype is so far along. 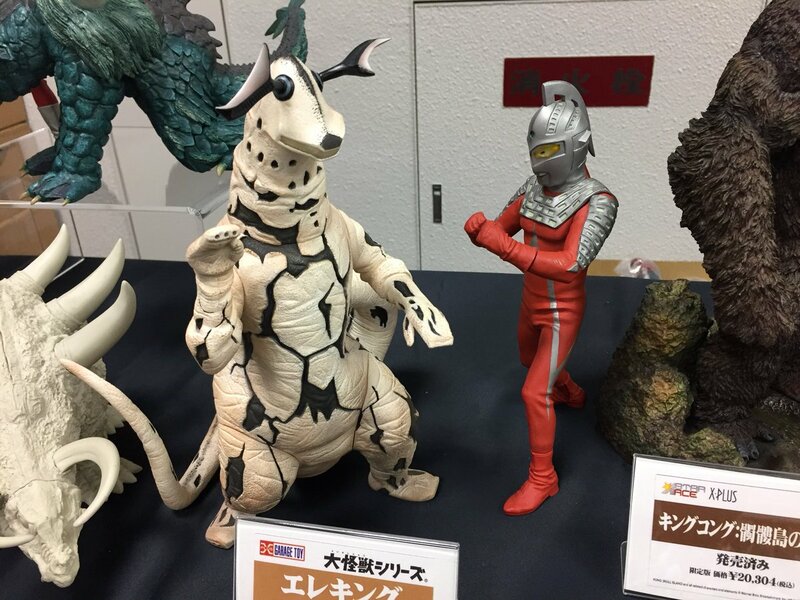 Keep reading on for even more Ultraman figures. 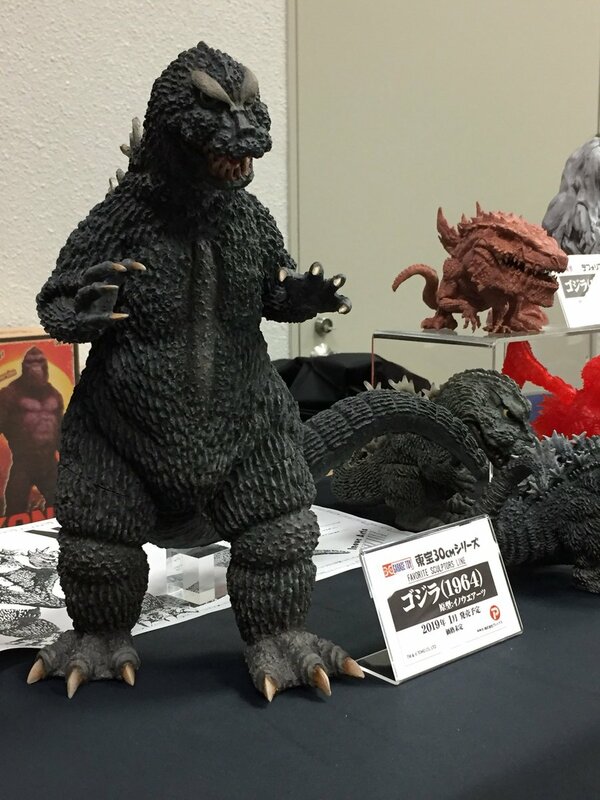 Also on display is a painted prototype of the upcoming Gigantic Series Godzilla 1989 based on the suit from Godzilla vs. Biollante (1989). And now we finally have a release date! Clear a BIG space on your shelf for before its release in March 2019. 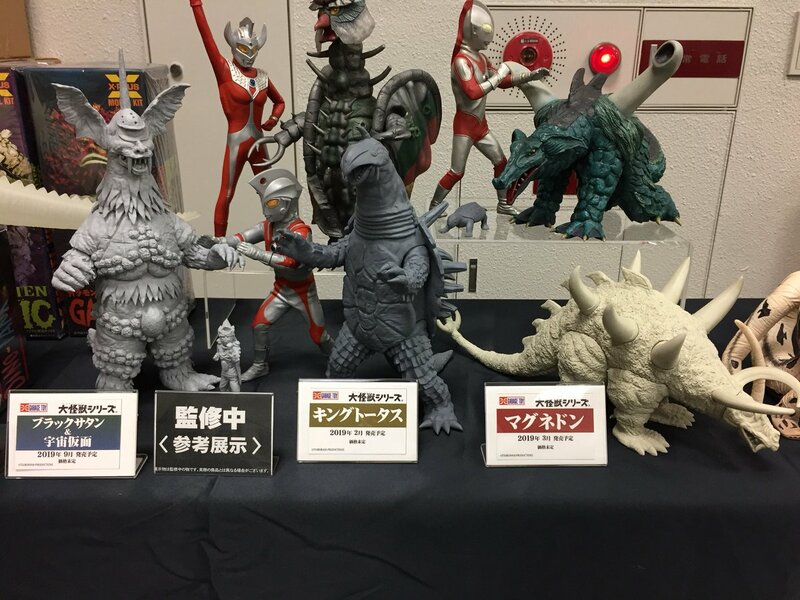 Plus a group of new Ultra kaiju: Black Satan (Ultraman Ace) coming out in September 2019, King Tortoise (Ultraman Taro) coming in February 2019 and Magnedon (Return of Ultraman) arriving in March 2019. 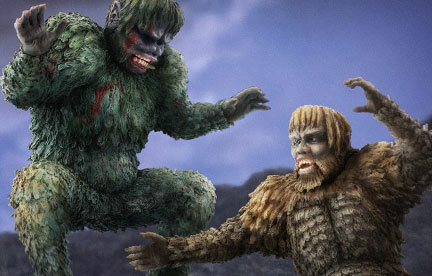 Special thanks to Kaiju Addicts contributor, Vince Elliot, for identifying these three!